Holy Ancestor Azure Dragon of Heavenly Monster Tribe showing himself here had frightened the warriors on the Immortal Island. They finally had the chance to see the legendary Immortal Realm expert. However, Azure Dragon wasn't interested in the others. His pupils shrank as he said, "We are going to talk in private." He looked at Shi Yan. Azure Dragon chuckled and then disappeared. At the same time, a ma.s.sive energy tornado twirled and covered Shi Yan tightly. He couldn't even wiggle and he felt so dizzy. When he resumed his normal condition, he found himself standing on the Heavenly Monster Mountain Range in the Vault of Sky Sea Area. Those mountains here were arranged like fingers of a hand. The earth and heaven energy in this mountain range was fresh and abundant. Taking in the milky white air, Shi Yan felt refresh and happy. Azure Dragon smiled and looked at the Heavenly Monster Mountain Range happily. "When we left this place, the earth and heaven energy wasn't suitable for our cultivation anymore. After many years, I finally got the chance to return to our home." Shi Yan didn't know what he wanted to say, so he just kept silent and listened to him. "Thank you for your labor. Our Heavenly Monster Tribe has to thank you a lot," Azure Dragon smiled until his eye squinted. "No need," Shi Yan wore a faint face. "After fusing with the Genesis Fruit, I got some benefits too. I didn't take the worst of it." "Haha, of course, you won't bear a loss. The G.o.d Clan has only made your Bloodthirsty Force bear the loss once," Azure Dragon contemplated for a while and then said, "In the next ten thousand years, Grace Mainland will be the best place for cultivating in the entire universe. Every square inch here will be very pricey. Anyway, the Grace Mainland is our ancestral star. Our Heavenly Monster Tribe must move back here..."
He knew that Heavenly Monster Tribe would absolutely return because this planet was the most suitable place for their members to cultivate. They sure knew how to make a good decision. "This continent needs to be divided one more time," Azure Dragon didn't want to go around the bush. "The Heavenly Monster Mountain Range and the adjacent areas should belong to our Heavenly Monster Tribe including the surrounding sea. I hope you will move all irrelevant warriors out of this area and as far as possible. Oh right, what do you call this sea area?" "Yeah, the Endless Sea. Our Heavenly Monster Tribe wants the Endless Sea. In the next ten thousand years, we will cultivate in the Endless Sea. This place will belong to us." Azure Dragon simply stated his wish. Shi Yan's eyes became cold. He had fused with the Origin so he knew that Endless Sea was the place that was going to have the thickest earth and heaven energy in the future. At the same time, the Heavenly Monster Mountain Range had a magical field of force that wasn't created by Heavenly Monster Tribe. It was naturally formed. If they cultivated near that field, their Soul Consciousness could somehow reach the fountainhead of power Upanishad. Although it wasn't that their souls could enter that place, it was still going to help them a lot to comprehend their powers deeper if they could cultivate in this area. It was similar to Extreme Purgatory Field in Raging Flame Star Area where warriors could understand their powers better and faster. Shi Yan could even feel that this field of force was expanding towards the Endless Sea little by little. It rippled like waves in the sea. In one hundred years, the entire Endless Sea was going to stay within this magical field of force. Also, that field and the Dark Magnetic Noxious Mist were connected. Currently, the Dark Magnetic Noxious Mist was changing magically. Many spirit herbs and plants were growing there together with rare and precious crystals, which Shi Yan had seen only on Desolate. "The misty area to the East of the Endless Sea used to be an area where experts of Heavenly Monster Tribe cultivated ascetically. That area belongs to the Endless Sea, so it should belong to our Heavenly Monster Tribe too," said Azure Dragon sternly. Shi Yan felt more irritated. As far as he knew, the Endless Sea and the Dark Magnetic Noxious Mist were the most special places on this continent. The Endless Sea was going to be filled with thick energy, so the warriors could comprehend their powers better there. The Dark Magnetic Noxious Field was going to create a lot of treasures. These two areas were likely going to become the most precious lands in this continent. It was the reason why he wanted to bring the Yang family and the Shi family to the Endless Sea but not Divine Great Land. As soon as the Holy Monster of Heavenly Monster Tribe requested the said two lands, the most precious lands in the future, Shi Yan obviously didn't agree. However, he didn't say it curtly. Instead, he said with a regretful face. "It's no use even when you talk to me." Azure Dragon frowned, "Why is it no use?" "I can't decide that," Shi Yan shrugged and said reluctantly. "The Endless is occupied. The Yang family owns it. It always belongs to the Yang family." Azure Dragon snorted. "You've fused with the Origin. Your words can determine the fate of this continent!" "Some chiefs of our Bloodthirsty Force have some agreement with the Yang family. The successors of the Bloodthirsty Force will be trained in the Endless Sea. Well, your Heavenly Monster Tribe wants to swallow the Endless Sea and even the Dark Magnetic Noxious Mist. I don't think those chiefs would agree with you. If you want to negotiate, you should find them," Shi Yan spoke nonchalantly. This Heavenly Monster Tribe's Holy Ancestor apparent wanted to force him. Before the Chiefs of the Bloodthirsty Force arrived, he wanted to use his Immortal cultivation base to force Shi Yan. 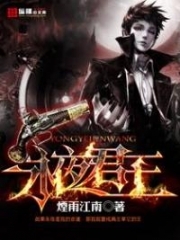 As Shi Yan was the heir of the Bloodthirsty Force's Master, he was also the spokesman of the current Bloodthirsty Force and he had the Origin. If he agreed with Azure Dragon under his pressure, it would be a big headache to Xuan He and Frederick later. "You're the new generation of Bloodthirsty! It's alright if you just nod!" Azure Dragon spoke again. Billions of mysterious symbols were moving in his eyes. They twinkled like diamonds and moved inside his pupils. An unclear, threatening power was generated and getting stronger. Shi Yan's face changed. He snorted and then said, "Precursor, you want to force me with your power? Before the experts of our Bloodthirsty Force arrive, you want to force me into it?" "I hoped that you would agree. This Endless Sea and that thick mist used to belong to our Heavenly Monster Tribe. We just need two pieces of land. I don't think it's too much compared to the entire continent." Azure Dragon was persistent. The solemn, tyrannical Monster Qi on his body was like billions of mountains pressing down on Shi Yan's head. Shi Yan felt that it hard to breathe. He knew that Azure Dragon hadn't used all of his force. It was just a bit of power and Shi Yan knew that it was much more intimidating than facing ten of Fick at the same time. He was dispirited that he couldn't counter the Azure Dragon. The bones in his body made cracking noises as he turned into his Immortal Demon body: the fighting form of his race. Still, it was strenuous to resist the pressure. His crimson eyes were cold as he said, "If your Heavenly Monster Tribe wants to claim the Endless Sea and the Dark Magnetic Noxious Mist, you have to kill me first." Holy Beast Azure Dragon studied him. A strange light flared up from his eyes. The old beast pondered for a while and then snorted. The pressure immediately fell from the sky. Under his power, even the sky seemed to shatter soon. It felt ten times as heavy as the sky. Shi Yan quivered. His veins and bones were about to be smashed. He gritted his teeth to keep his mind sound and burned the Immortal Demon Blood. He smiled crazily all of a sudden. "My co-soul has fused with the Origin of this continent. If I die, your Heavenly Monster Tribe's hope and future will shatter. Do you still want to touch me?" Azure Dragon would never dare to touch him! Quite the contrary, if Shi Yan was in danger, Azure Dragon had to use his best means to protect him to prevent his soul altar from disappearing. Shi Yan was the basic a.s.surance for the future of a strong Heavenly Monster Tribe! As Shi Yan understood it clearly, he wasn't afraid anymore. He laughed contentedly, "Who do you think you can scare? Okay, I now won't do anything to defend myself. Let's see if you dare to kill me!" Then, he retrieved his energy and stopped burning the Immortal Demon Blood. When Azure Dragon saw him do that, his face changed dramatically. He immediately retrieved all of his threats, his face grimaced. "You aren't afraid of death?" "I am, I very am. But I'm not afraid of you because you will never dare to touch me." Shi Yan's eyes twinkled. Looking at the Heavenly Monster Mountain Range, he mocked. "Well, it's not easy to take all the good things. Your Heavenly Monster Tribe has been hiding for a long time. The G.o.d Clan is still powerful. Do you think you can control this whole world? Ridiculous!" Azure Dragon had a headache now. Shi Yan was right. Even if Azure Dragon had more guts, he couldn't dare to kill Shi Yan. 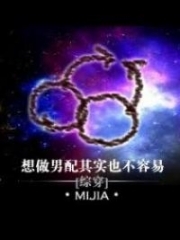 Shi Yan represented the future of Heavenly Monster Tribe's ancestral star. If he died, Grace Mainland would return to its bleak condition without the Origin. It was the chance that Heavenly Monster Tribe had been waiting for. Ten thousand years would be destroyed with him too. Being the current Chief of the Heavenly Monster Tribe, how dare he do that? "Okay fine, Tell me what we should do," Azure Dragon didn't know whether he should cry or smile. He had to step back for the overall benefit. "We don't have many members in our tribe anymore. We are in a hurry to get to the Endless Sea or the Dark Magnetic Noxious Mist to recover our conditions. What do you think?" "Well, after the G.o.d Clan is defeated, we will talk about this." As Shi Yan had grabbed Azure Dragon's weakness, he felt relaxed. "For the time being, the members of Heavenly Monster Tribe can go to the sea area around the Heavenly Monster Mountain Range. And for future resettlement, we will discuss later." "I'm going to take my tribe here." He didn't want to linger. Azure Dragon opened his mouth to spurt out a big lightning ball to cover Shi Yan and directly threw him back to the Immortal Island. When he returned from Heavenly Monster Mountain Range to the Immortal Island, Blood Devil and the others were still there. Now, they were all astounded upon seeing him come back. "You're back," Shang Chen sounded worried. "Oh, when did you arrive?" Shi Yan was surprised. When he came back to Devil Blood Star, he knew that Shang Chen wasn't there. 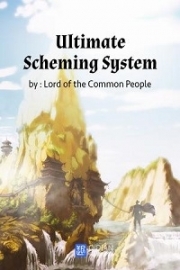 He didn't think that Shang Chen would come here using the s.p.a.ce Teleport Formation. "You have one day to arrange things here. 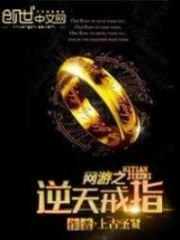 After that, we must go quickly," hissed Shang Chen. Shi Yan was surprised. "What makes you so hurried?" 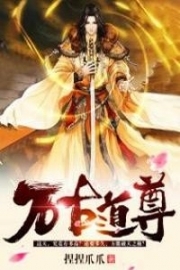 "To help you, Sha Zhao, Mo Fou, Wu Feng, and Jiao Shan had gone to Agate Star Area. The G.o.d Clan is forcefully taking revenge at their star areas. The situation got really serious," said Shang Chen. Shi Yan shivered inwardly. "Only I can help them solve this danger?" "Currently, the major star areas have formed a union. They are discussing how to deal with the G.o.d Clan. You're the representative of the Bloodthirsty Force. You have to join the meeting and voice your opinion." "It's Frederick who asked you to come here again?" Shi Yan shot him a look. Shang Chen nodded embarra.s.sedly. "He's confined. It's hard to do anything else. He asked me to represent him and tell you the information." "How generous you guys are when you give me one day to arrange my stuff," Shi Yan sneered. "We're in a rushed situation," Shang Chen explained with a forced smile. "Okay, I got it. One day it is. I also want to see how the grand meeting of the unity of the major star areas is. It's a good chance to widen my knowledge, though." You're Read God Of Slaughter Chapter 1233 Unyielding online at NovelOnlineFull.com. You can use the follow function to bookmark your favorite novel ( Only for registered users ). If you find any errors ( can't read,broken links, can't load photos, etc.. ), Please let us know so we can fix it as soon as possible. And when you start a conversation or debate about a certain topic with other people, please do not offend them just because you don't like their opinions. You're reading God Of Slaughter. This manga has been translated by Updating. Author(s): Ni Cang Tian,逆蒼天. Already has 674 views. Current Time is 19-Apr-2019 04:53:54 AM.